Transforming Faces has been advocating for comprehensive care for patients born with cleft since we were founded in 1999. We have long believed that it is essential to go beyond the initial cleft repair surgery and also address challenges like speech, dental, nutrition, hearing and self-esteem. 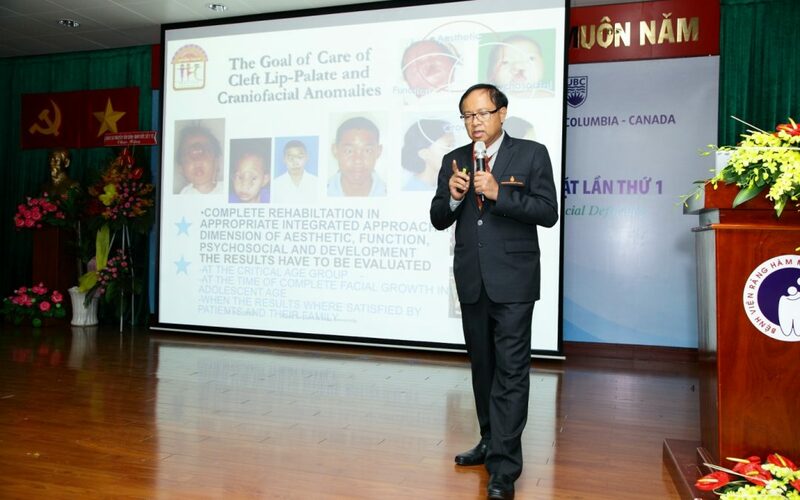 We are delighted to see cleft professionals in our partner countries and around the world embrace this holistic approach to treating cleft! 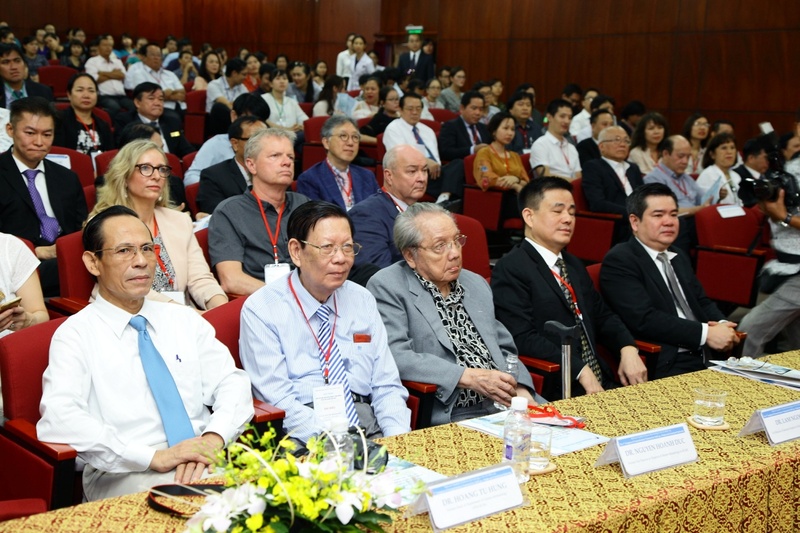 So when we learned about the first-ever comprehensive cleft care congress being organized in Vietnam, we were proud to support our Thai partners in attending the Congress, and sharing their experience about working at a cleft centre of excellence. 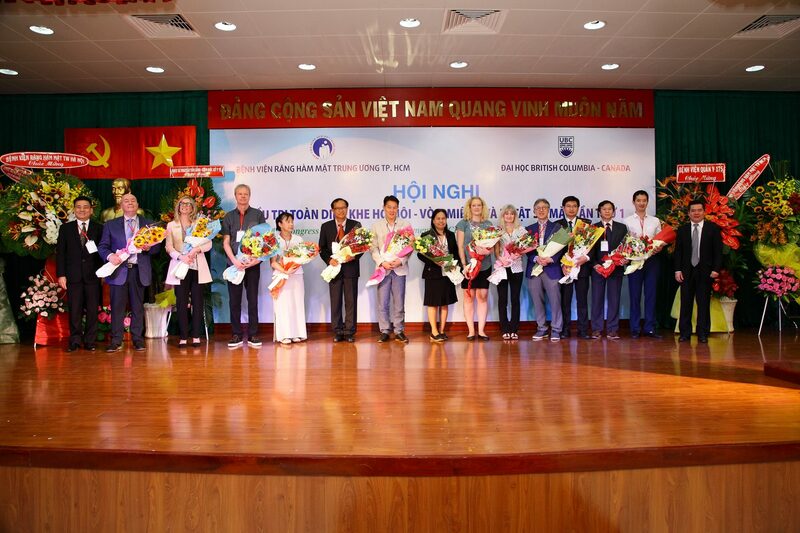 In May, the National Hospital of Odonto-Stomatology (NHOS) in Vietnam hosted Vietnam’s first ever Comprehensive Cleft Care Congress. Transforming Faces supported the participation of our Thai partners, Dr. Bowornsilp (Surgeon and Director) and Ms. Suteera (Nurse Coordinator) from the Tawanchai Cleft Center based in Northern Thailand. 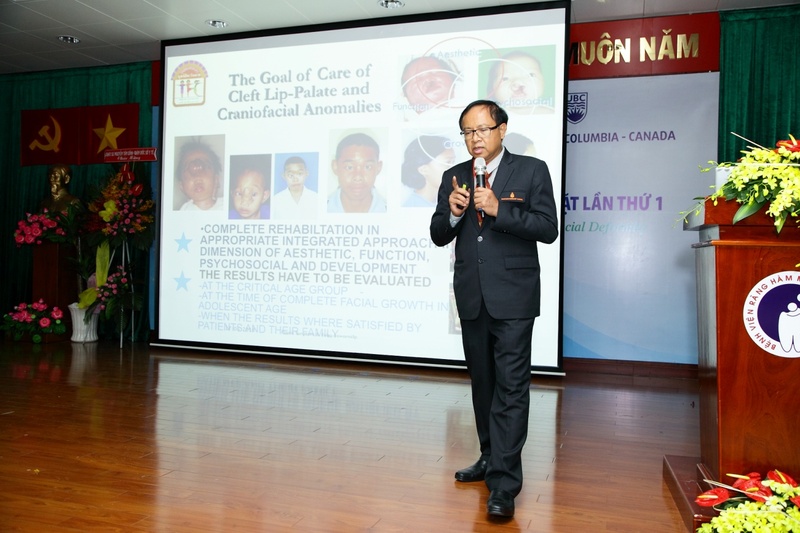 Our partners shared their experience running a comprehensive cleft care centre of excellence, and emphasized the importance of the role of both surgeons and nurses in realizing a team approach. The occasion also marked the official opening of NHOS’s cleft unit at the hospital. We are proud of our partners who are committed to delivering comprehensive cleft care at home, and sharing their knowledge with other cleft professionals abroad!